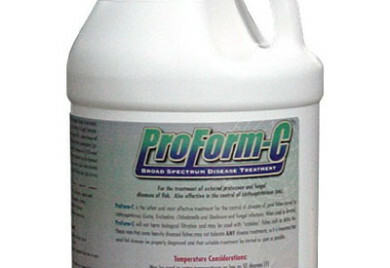 ProForm-C is for the treatment of external protozoan and fungal diseases of fish. Use ProForm-C as a Broad Spectrum Disease treatment. It is one of the safest and most effective treatments for control of pond fish diseases. 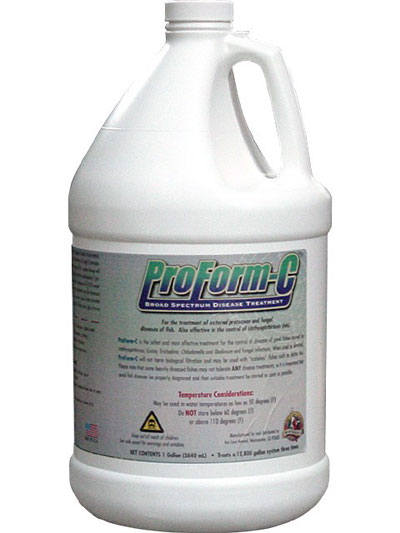 Unlike some products, ProForm-C will not harm biological filtration. It is most effective when used when the water temperature is above 55 degrees. Can be used for the control of diseases caused by Ichthyophthirius (ich), Costia, Trichodina, Chilodonella, Oodinium and fungal infections.